*DIY* I've Unleashed a Cyclops! Up until now we were busy setting up our forum sponsership but that is done which means its just a matter of getting a couple of things ready. Hold tight and we'll work on getting this going asap. Hi , I'm new over here, but I couldn't oversee this GB for the backup camera setup. So any news or did I miss any other thread in regards of thi sgroup buy ? I am SO Interested on this. If you can get good deal on this, ~500to 550. I will get it ASAP. Hey ron, Is this VIM include the ablity to input letters while driving? Will the Kenwood CCD-2000 ( US VERSION ) work on a C-class European version navigation screen ? AFAIK, there is NO group buy floating around. For the price, it's definitely reasonable compared to the competition. It's also comparable in price to the Quickpark system (installed), but is superior due to the fact that you get to see what's behind you. For those on the fence... I'm glad I got it and I have no regrets about this mod. even cheaper if you don't need VIM. I agree! And for those of you who are thinking of doing this I would say DO IT!!!!! It's a truly awesome mod to have. how do you feed the wire from the trunk, to to the front of the car? you say under the sills, how do you get under the sills? more details please! 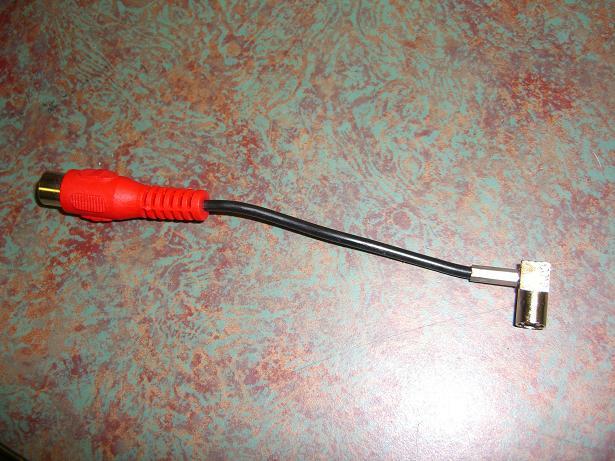 Also, where can I purchase a pre-assembled SMB (FAKRA) to female RCA cable? Anyone? Midcity was selling these at around 20.00 USD maybe a bit more. As far as getting the video cable from the trunk to the cabin that is the hardest part of this install. I went through the passanger side and fed a snake between the rear seat back and the side. It took a few tries but there is a cable run there then just tuck it under the door sills. Add me to the group buy. Send me a pm or post on here with the details, etc. Hi there, i am from middle east and i bought 2009 C63 from USA, is there anyone can help me how to install the middle east map to the Navigation? Thanks Ron Jr! I placed the order last week wednesday (it was $22 PLUS $15 shipping!?!?!?!). For the shipping price I paid, I would have expected for the (I presume less than a couple oz. in weight) cable to have arrived already; still waiting as of this message. Needless to say, shipping rates was a rip!!!!!!!!! Thats a crazy amount for shipping a cable. I shipped out a Breitling Steelfish last week (traded for a Sinn 856) and next day with 2000.00USD insurance came to a little over 20.00. And I know the Breitling with it's packageing weighs a hell of a lot more than a cable. Where did you get your grill? I always get a nice warm fuzzy feeling inside when I see successes like this come out from the DIY. Gotta clean up your garage though, mate. That looks really good! How much was it for just the VIM from midcity? I did mine because I have C63 with those bucket seats and it's bloody hard to see at the back even if I turn my head 180 degrees. You can get that option for $450 usd at any MB dealer + labor much much cheaper and better than aftermarket. Not to mention the compatibility!!!!! I have examined the backup camera on the GLK and it appears to be the same Kenwood camera I got with my kit. Which retails for about $200. Since this is not a five minute installation, dealer labor time is going to be significant. Your statement regarding "cheaper and better" needs an explanation. And what exactly is the compatibility issue? Hmmm... sounds like giovapal didn't really do his research before poo-pooing on the thread. The camera itself is of the same quality as the ones used as OEM from car manufacturers. So for MB to be charging $450 for just the camera... they're making a lot of profit. Add to it the labor costs and you'll see how close to the price I paid for the kit WITH VIM. Of course, as I was an early adopter, I overpaid for the kit myself. But it all works out in the end just the same. Anyone who says that OEM is cheaper and better than aftermarket parts (without doing proper research) usually don't know what they're talking about. And as far as why we install cameras in the rear of compact cars... well, that's because we CAN. Don't knock it til you've tried it. Quick Reply: *DIY* I've Unleashed a Cyclops!